Carnival ships won;t be calling at Tortola in the British Virgin islands from 2014-2015. Bad news for everyone who likes Tortola! 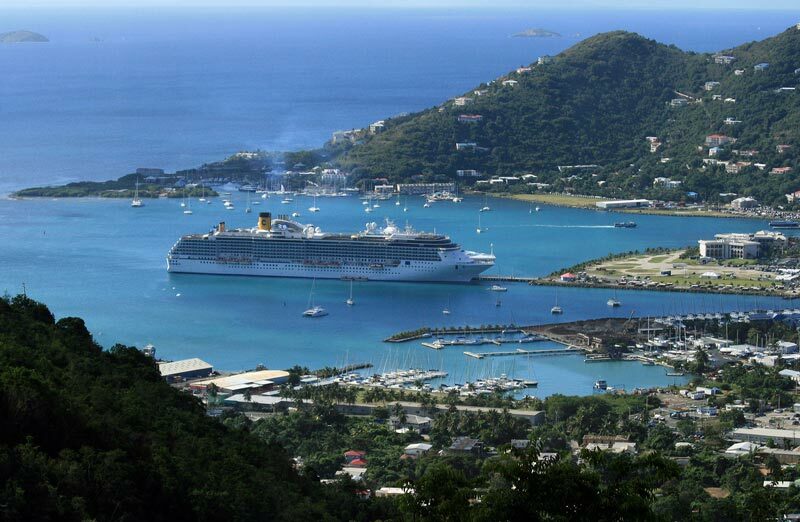 Carnival Cruise Lines won’t be calling at Tortola in the British Virgin Islands from June 2014. The cruise line won’t be visiting the Port of call for at least 10 months. There are several reasons why this is happening. Firstly the dock where the cruise ships usually dock is being upgraded by the Tortola Government. This may be because of increasing competition between Caribbean islands for cruise ship passengers. We don’t know yet but it could be upgraded to be able to bring in larger ships. If Carnival was still to call at the port passengers may have to tender to the island which could cause delays and more hassle for everyone. Secondly the Government of Tortola can’t guarantee that Carnival ships will be able to dock at the port. this would cause more disruption for people booking cruises. Now the reason for this is apparently the Tortola government are also in talks for berthing rights with Norwegian Cruise Line and Disney Cruise Line which are Carnival competitors. Tortola are looking for a cruise line which will guarantee lots of ship visits to bring in more money for the Island. Have you ever visited Tortola? What do you think of the British Virgin islands? Let us know in the comments below.